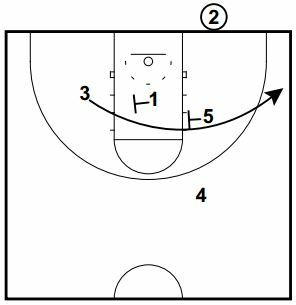 This play is a short seconds or end of game underneath inbounds play to run against man to man defense. The 3 player will come off the stagger double screen set by the 1 player and the 5 player. 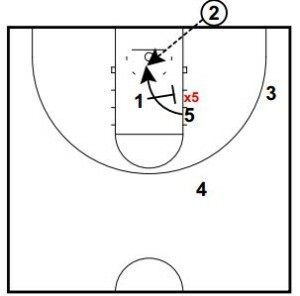 The 1 player will peel back to the ball to set a backscreen for the 5 player for the lob.